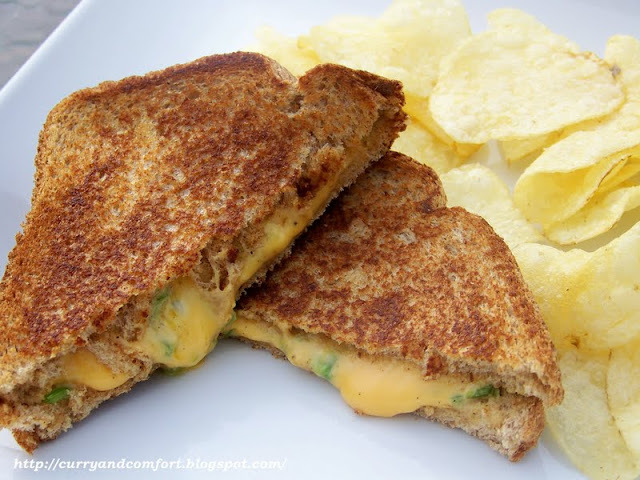 April is National Grilled Cheese Month!! 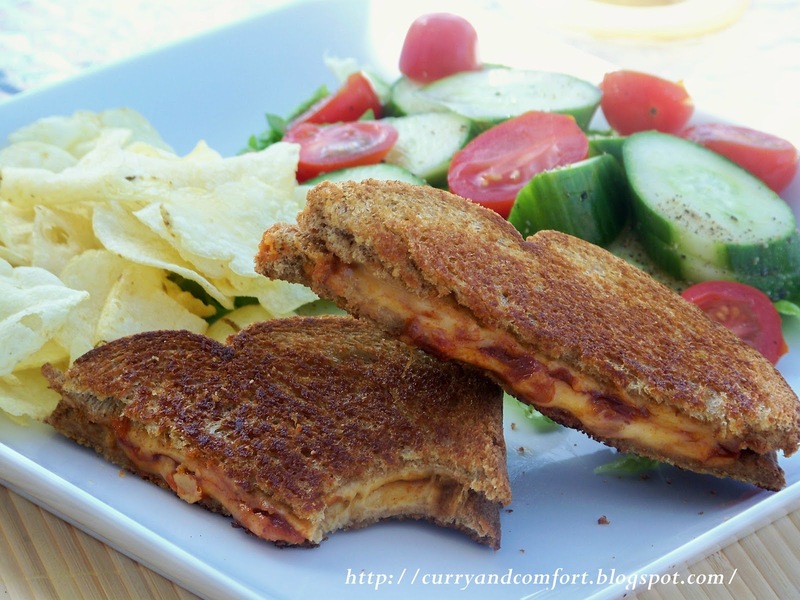 I love a good ooey gooey grilled cheese sandwich. 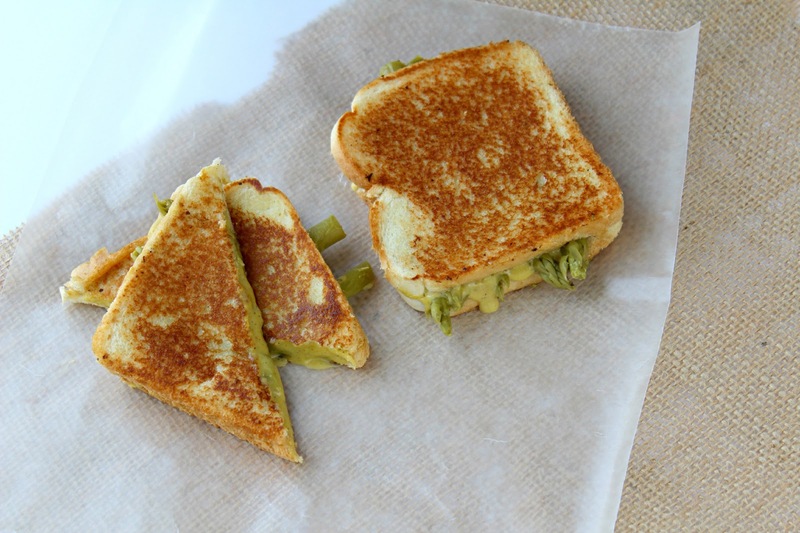 When I'm running late and I want to make a quick lunch or dinner the grilled cheese sandwich is my "go to". If you have a little extra time these fun grilled cheese sandwiches that I have done on the blog before are also a great choice. Today, I am introducing the Asparagus Grilled Cheese sandwich today that I made recently. 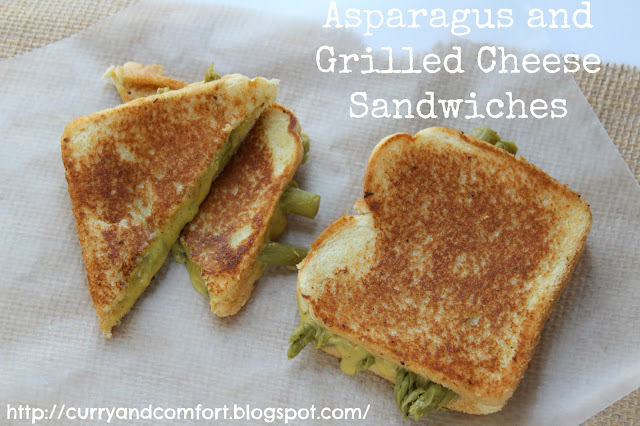 It's basically steam fresh asparagus tips mixed with a Spicy Grilled Cheese sandwich. PS... Please check out my Burning Down the Kitchen Interview with Kim at Cravings of a Lunatic. 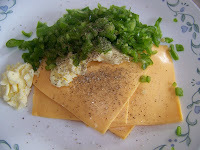 Notes: You can use shredded Cheddar cheese or Slices of American Cheddar cheese.You can use any kind of chili you like. 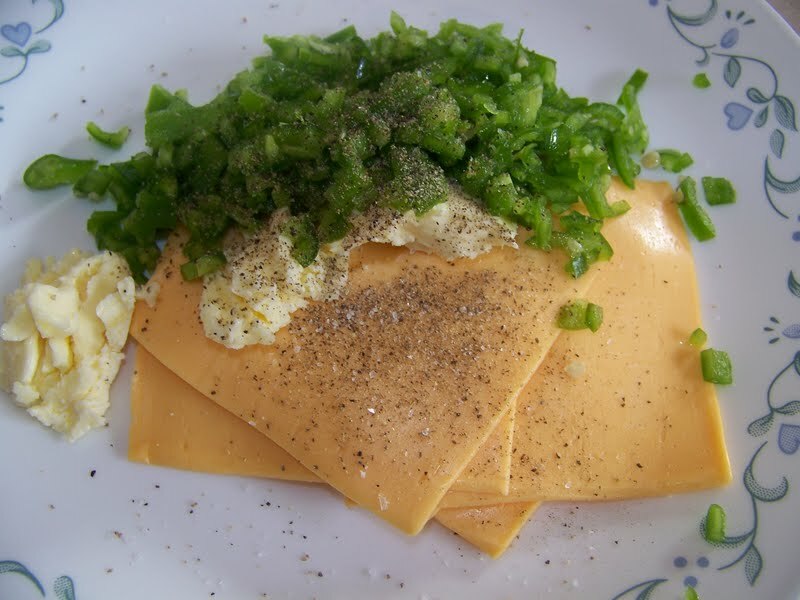 I recommend jalapeno, serrano or larger green chilies. You will want to make sure you don't pick a very spicy pepper and you clean the seeds and membrane out so it tones down the spice level. 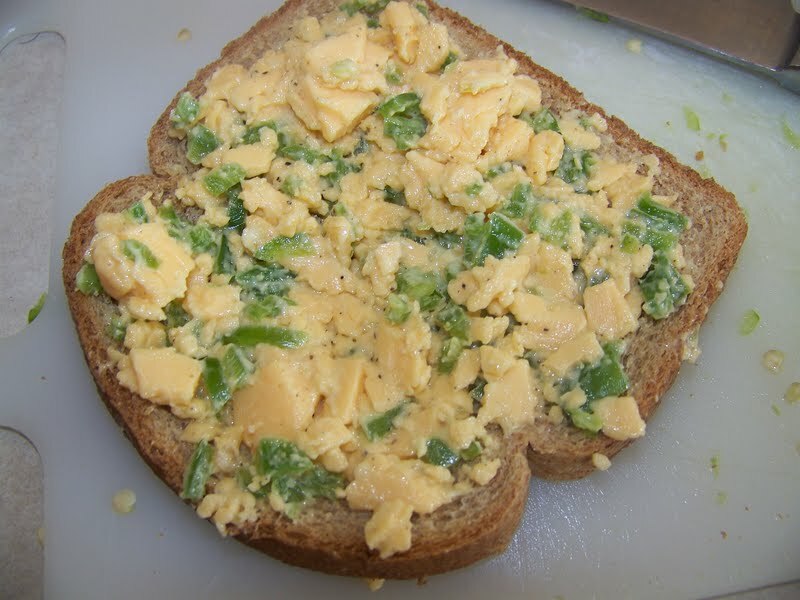 Directions: Spread the cheese and chili mixture over over two slices of bread. Place steamed asparagus across one slice of bread and top with the other slice of bread. 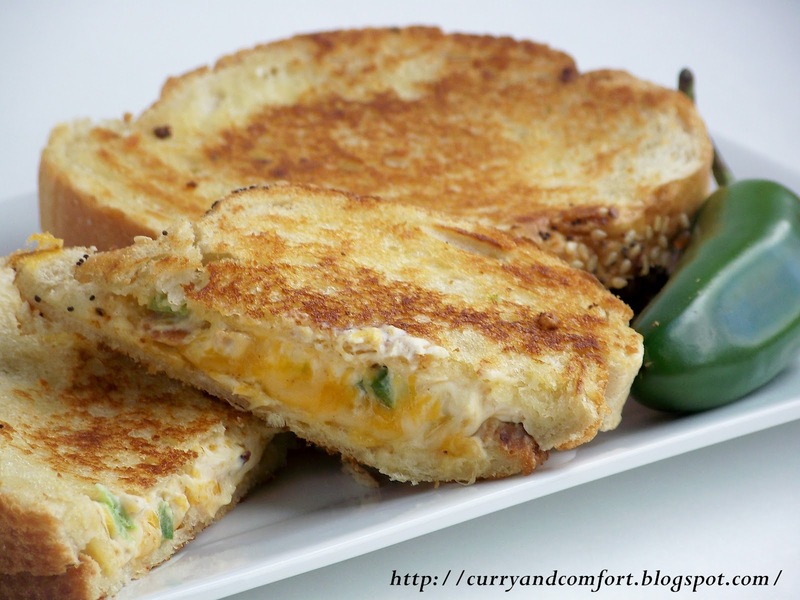 Butter both outer sides of the sandwich and grill in a skillet on medium heat until bread is golden brown and cheese is melted. Enjoy. 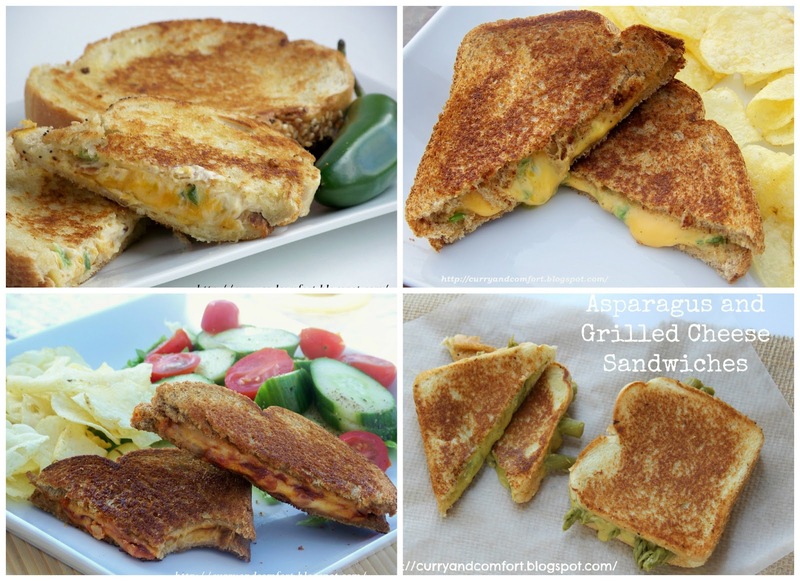 Love all of these ideas for grilled cheese! 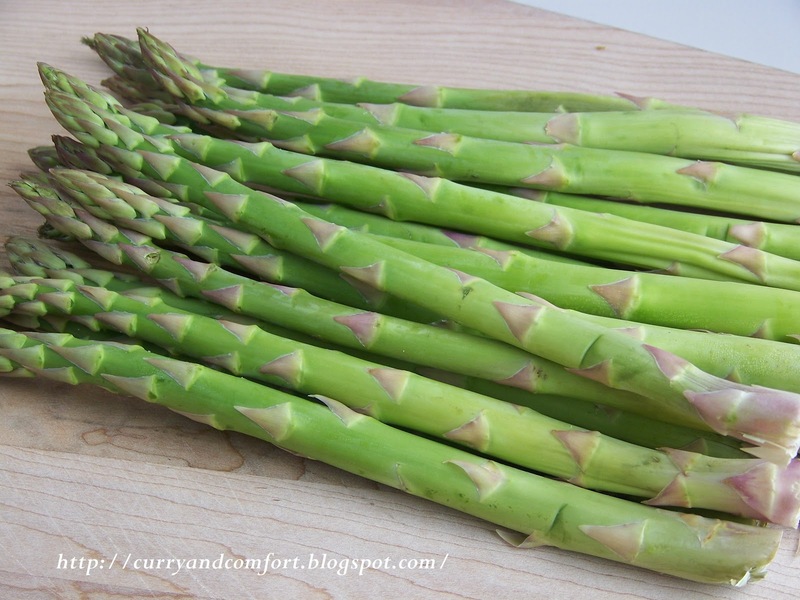 The asparagus one will make a great lunch tomorrow! Just read your interview at Kim's - Fantastic! You are seriously making me hungry while I'm catching up with all of your posts. I haven't had grilled cheese in ages! 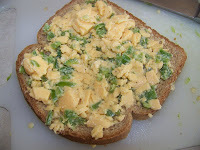 the asparagus would make me feel much better about the bread and cheese. although I would just be tempted to have two! Delicious food! Thank you for idea Have a good day!